The deal to provide the Oakland Raiders with a record $750 million in public money toward a new stadium in Las Vegas is done. But the rich assholes who want to savor the spoils still have a lot to play for. Sheldon Adelson, the casino magnate and grumpy ham hock who’s pledged $650 million of his own money toward the project, has told Reuters he’s willing to scuttle the deal entirely if the Raiders keep demanding more stuff. This comes after Nevada Gov. Brian Sandoval already signed into law a hotel tax increase that would cover the public’s share of the proposed $1.9 billion stadium. “They want so much,” he said. “So I told my people, ‘Tell them I could live with the deal, I could live without the deal. Here’s the way it’s gonna go down. If they don’t want it, bye-bye,’” he said. 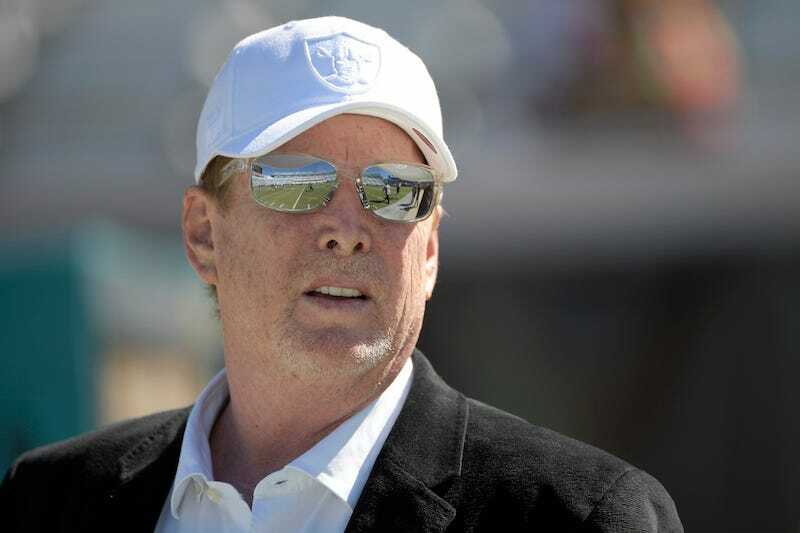 Adelson declined to elaborate on what else it is the Raiders want. Last month, Davis responded angrily to a report that Adelson was interested in an ownership stake as a condition of moving the team. Three-fourths of NFL owners are required to approve a franchise relocation, and a decision isn’t expected until early next year. Remember: This is still a negotiation. “Oakland was in the driver’s seat if they could’ve put together anything,” Davis told reporters last week. “They came up with nothing. Las Vegas has already done what it is supposed to do.” Adelson’s true intentions here aren’t the point. All he’s done is give Davis a chance to take his ball back to Oakland, to keep this game going, even if we already know who’s likely going to lose.